If you’re not worried about identity theft yet, current events might change your mind real quick: About 44% of the U.S. population’s names, social security numbers, credit card account numbers, addresses and deiver’s licenses have entered the hackerverse. Congress just announced plans to investigate this breach, but that’s not going to come to a resolution overnight. In the meantime, here are some things you can do to protect yourself. 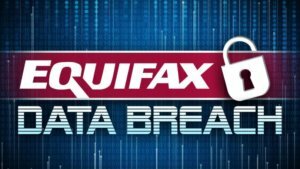 Equifax has offered free credit monitoring to anyone who feels concerned about identity theft (which we hope you are by this point). Enrolling is simple: just click here, scroll to the bottom of the page and click the red box labeled “check whether you are affected.” That opens a window prompting you for your name and the last six digits of your social security number. Click the box that says “I’m not a robot,” follow the CAPTCHA prompts and then hit the orange box labeled “continue.” These steps set you up to receive automated notifications of anything that might look suspicious. Also consider requesting new cards for all your accounts. This will be a massive inconvenience, but it may be worth it. You should already be checking every statement from each of your bank and credit accounts — but if for some reason you don’t, now is the time to start. Don’t think that just because nothing has happened in the next month or two that the danger has passed. Criminals are very patient, and will wait until all the publicity about the data breach subsides before attempting to use the information they’ve stolen. This is a massive data breach, in both the sheer number and type of information stolen. We should all assume our data was compromised and take action to protect ourselves from identify theft or simple fraud. Our financial futures may depend on it.